Bert Diewert (Abney) passed away August 17, 2018 at Hospice House in Kelowna. She is survived by her husband Don Abney, daughter Dale (Don) Driscoll of Kelowna, three grandchildren and two great-grandchildren. She also leaves to mourn her step-children Don (Dolly) Abney of Summerland, Chuck (Marla) Abney of Kelowna, and Julie (Gary) Wallin of Vancouver, eleven Abney grandchildren, and ten great-grandchildren. Bert was pre-deceased by her husbands Robert Webster and Arman Diewert, and by her daughter Carolynn and sons James and Eric. 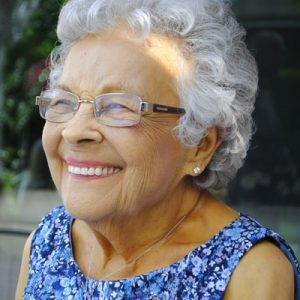 Bert was born in Meadow Portage, Manitoba on April 3, 1931 and raised as the youngest of 12 children on their farm until age 19 when she moved to B.C. where she met and married Robert. They had three children before his unfortunate death, and she moved to the Kamloops area where she met Arman. They moved to Kelowna, married and had her fourth child Eric. They operated the Tiny Town campground for many years until their retirement. They shared a passion for square dancing and were very active in that community for over 30 years. After Arman’s passing, Bert enjoyed retirement in Kelowna, and spent her final six years with Don, with the two of them exchanging marriage vows earlier this year. She will be missed by the many friends and family who she touched. A memorial service for Bert will be held on Thursday, August 30, 2018 at 1:00PM at Springfield Funeral Home, 2020 Springfield Road, Kelowna, BC. In lieu of flowers, a donation to Kelowna Hospice House would be appreciated. The service for DIEWERT, Bertha is scheduled for Thursday, August 30, 2018 at 1:00PM. Below you will find the map for the service location and the contact information should you have any questions.